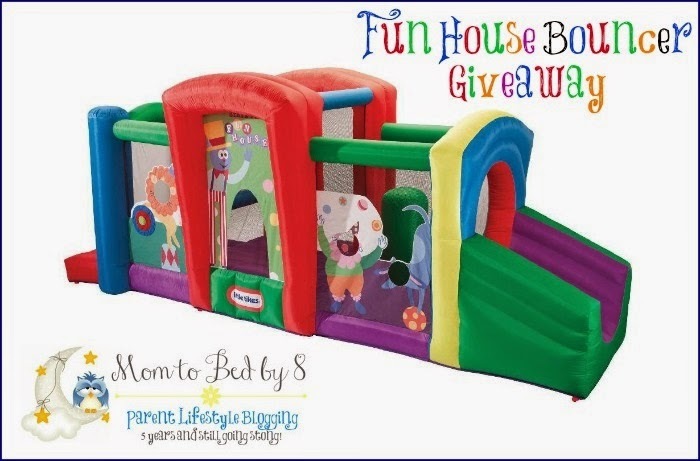 End the Summer Right with a Little Tikes Fun House Bouncer Giveaway! This week has been all about the giveaways. So many amazing ones started, but this may just be my favorite! A fun house bouncer? How cool is that!? Personally, my little guy absolutely LOVES bounce houses! He could spend all day in one! We're lucky enough to have one for our backyard, and it's the greatest! Now, you can win this super fun one for YOUR little ones! What a fun way to end the summer! Good luck!! Would like to have the Home Improvements™ 2-Sided Workshop!